Kotobukiya US has long hyped the North American arrival of their popular 1/10 scale Rockman model kits. This summer, wait is over. 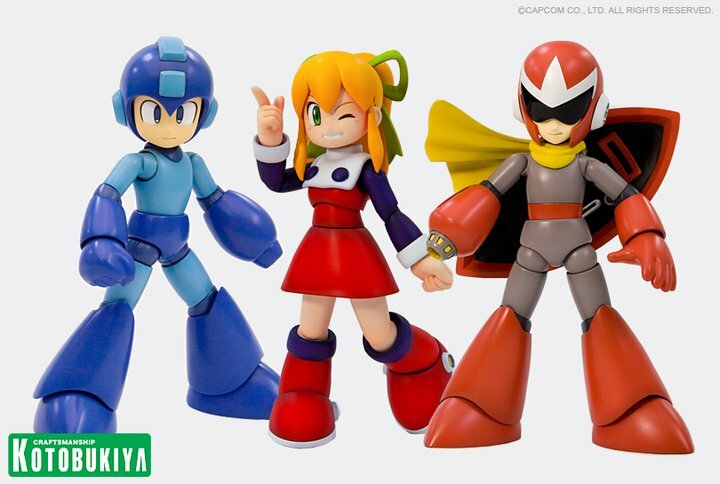 Capcom Store has begun offering pre-orders for all three English version model kits: Mega Man, Roll, and Proto Man. Each kit runs for $29.95, and will ship out in July. While the model kits have been readily available for import from Japan since last year, these are actually English versions featuring Mega Man-branded packaging, and translated instructions. The molds of the model kits are exactly the same as their Japanese counterparts, so don't expect any alterations or additions. Click on the above links to pre-order! While you're there, feel free to check out some of the other goods being offered like the Mega Man Kubricks and Servbot Bubble Bobble heads. Whatever happeend to late may? What's the hold up on these? All they have to do is repackage them in a English box with English instructions. Also, why are they not advertising these more? KotoUS doesn't seem to really give a **** about these.